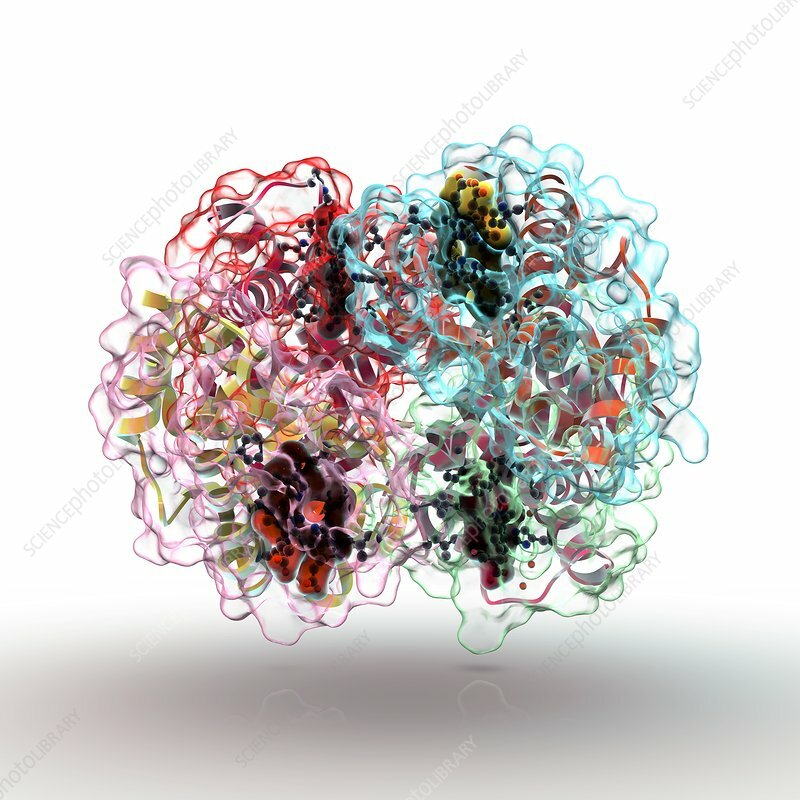 Haemoglobin molecule, computer artwork. Haemoglobin is the principal protein component of erythrocytes (red blood cells). Each molecule is made up of four subunits (two pink, two blue) called alpha and beta subunits. Within each subunit is an oxygen binding site, or haem group (dark areas). Each haem group contains one molecule of iron. Haemoglobin transports oxygen around the body by binding one oxygen molecule to each haem group. This means that each molecule of haemoglobin can transport four molecules of oxygen.